The Treasury Select Committee is appointed by the House of Commons to examine the expenditure, administration and policy of Her Majesty’s Treasury and H.M. Revenue and Customs. The committee chooses its own subjects of inquiry and seeks evidence widely by issuing a press notice outlining the main themes of inquiry and inviting interested parties to submit written evidence. Oral evidence is given in public and is are published along with the written evidence the committee agrees to accept. When a lawyer advised me “to go for Parliamentary scrutiny via the Treasury Select Committee”, the Committee was inviting written evidence with respect to the Stern Report on climate change. The Forum for Stable Currencies submitted as written evidence a paper entitled Green Credit for Green Purposes – Changing the Cash : Credit Ratio of the Money Supply to Ameliorate Climate Change. A second paper, Sovereignty and Seignorage was cited extensively and was made available online. But instead of getting a hearing or an appointment with the Chairman, I was invited to submit a supplementary memo. The “Stick” of Green Taxation v the “Carrot” of Green Funding. This stressed the ethical dimensions, following again the advice of our lawyer, but was omitted from the final report published a year later and containing all 63 paragraphs of our first submission. But what difference did it make to whose thinking or acting? 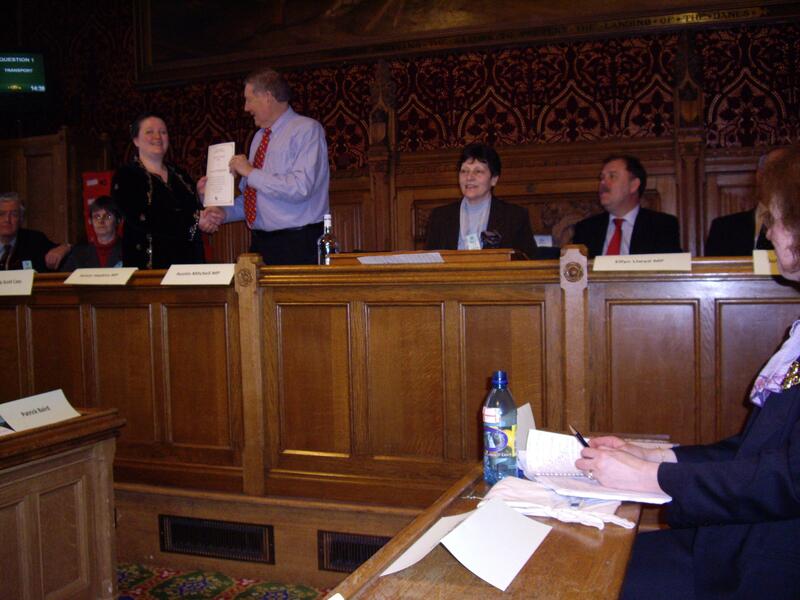 So far, I have attended about a dozen Committee meetings and eventually gave a copy of Nobel Peace Prize winner Muhammad Yunus’ Creating a World without Poverty – Social Business and the Future of Capitalism to the Chairman of the Treasury Select Committee, the Scottish Labour MP John McFall and followed this up in July 2008 with an online Open Letter.